All but forgotten today, Craig Ellwood was one of the finest California architects of the postwar era. By the time he was thirty he had already contributed three of the seminal Case Study Houses and received the São Paulo Award for his Courtyard Apartments. Subsequently influenced by Mies, he went on to design a lengthy series of stark minimalist structures, peaking with the Pasadena Art Center, a masterpiece among architecture of a Miesian persuasion. With the support of John Entenza, editor of the influential magazine Arts & Architecture, he was, until the late 1960s, widely considered as one of the most innovative American architects of the period. 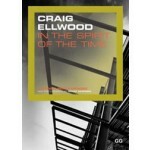 This book documents all the Ellwood buildings that remain on the records, a total of some ninety structures. Its 600 illustrations include comprehensive archival photography (including Ellwood's own pictures and others by Julius Shulman), original drawings, and -for those buildings that remain in good condition- recent images. Due to the loss of most of the original drawings, 80 floor plans have been redrawn for this publication, making this book as close a record of Ellwood's complete works as is possible today.